When visitors come to Louisiana, most of their focus is in and around the Crescent City of New Orleans. But venturing out to the west is another community worth exploring. Thibodaux, a small town of 15,000, is roughly 60 miles from New Orleans and nestled along the banks of Bayou Lafourche. A bayou is a small, often slow and sluggish, river that feeds into a larger area of water. The French term La Fourche means the fork. As such, Bayou Lafourche branches off from the Mississippi River about 30 miles above Thibodaux eventually winding its way to the Gulf of Mexico 80 miles south of the city. The town of Thibodaux was incorporated in 1838, but its rich history goes back much farther. One way to appreciate the city’s historical charm is to explore its’ past through the many ancient oak trees. The Live Oak Tour is an incredibly educational experience, and lots of fun, too! These majestic oak trees can be seen at numerous locations throughout Lafourche Parrish, which has more than 400 live oak trees registered with the Live Oak Society. Not only can visitors appreciate the splendor of the trees, but absorb the local history as well. The E.D. White historic site is a few miles from town on Louisiana Hwy. 1. Free to the public, this National Historic Landmark is home to eight oak trees, and was the residence of two of the state’s prominent political figures. Edward Douglas White was governor of Louisiana from 1835 to 1839, while his son Edward Douglass (sic) White was appointed to the U.S. Supreme Court, serving as chief justice from 1910 to 1921. Somewhere along the way, the younger Douglass added an extra “s” to his last name. Kids were rebellious even back then! In all, there are 26 areas around Thibodaux that feature live oaks. 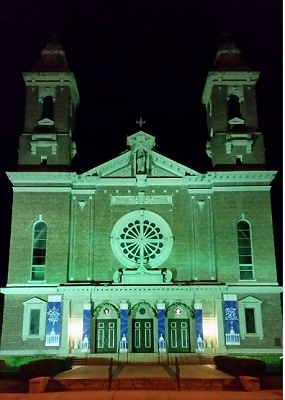 A few locations include Nicholls State University, St. Joseph Co-Cathedral and cemetery, Waverly Plantation, Leighton Plantation, and St. John’s Episcopal Church cemetery. 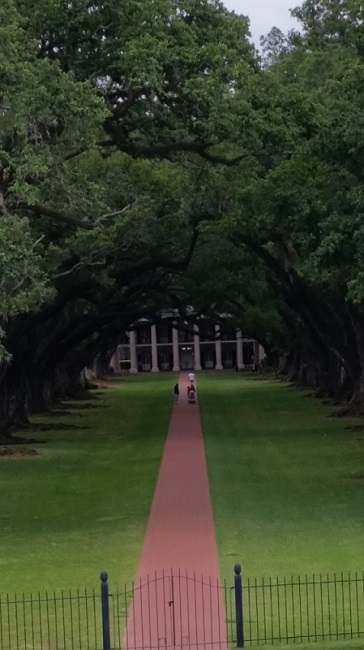 A short drive from Thibodaux is the incomparable Oak Alley Plantation. This is the Deep South’s most spectacular antebellum setting. Visitors stroll under the 28 evenly-spaced oak trees in two rows leading from the plantation to the Mississippi River. Take a self-guided tour and sip a Mint Julep while enjoying the well-manicured grounds. If you really want to experience the bayou, try an airboat tour into the marshes and swamps. Airboats can travel up to 60 miles an hour deep into the cypress swamp where most other tours can’t go. Airboat Tours by Arthur Matherne is one of the more popular companies that provides an unforgettable ride on the wild side. 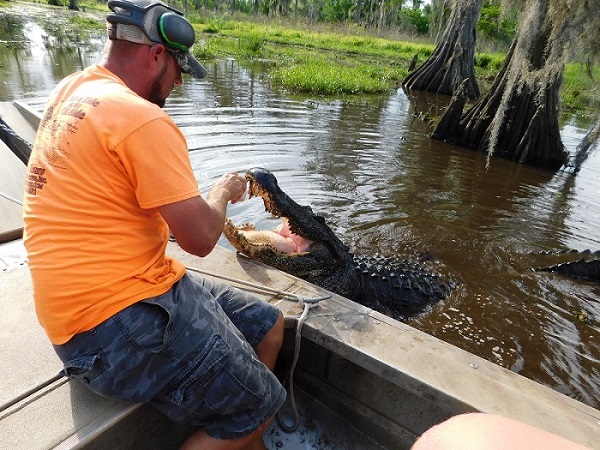 In addition to seeing up to 50 species of birds, 12- to 14-foot alligators are also frequent visitors to the side of your boat. They particular like the fresh raw chicken the guide offers them. Somehow, they eat the chicken and not the hand! Cajun Pride RV Park is just a few miles from the heart of Thibodaux. This no-frills, pet-friendly campground offers 30 sites and amenities like 30/50 amps, pull through sites, and water and sewer facilities. It’s conveniently close to town and many attractions. For those wishing to tee it up, golfing in the Thibodaux area can be found at Sugarland Country Club in Raceland or Bayou Country Club in Thibodaux. Both offer a good golf experience. 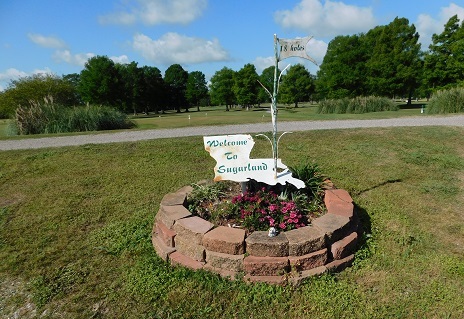 Sugarland is an 18-hole, par 72 track that measures 6,751 yards from the tips. Designed by Tad Kivett, the Sugarland golf course opened in 1967. The fairways are wide open for the most part, though some are a little rough. But, it’s an enjoyable golf course and the greens are in great shape. The Bayou Country Club is actually a nine-hole course with double tee boxes at each hole. I wasn’t aware of this fact when I teed off on the first hole. Suddenly, there was another golfer on the green! When golfing 18-holes, the course measures 6,154-yards and is a par 70. Bayou Country Club is in great shape and is a good walking course. Opened in 1957, Bayou Country Club is billed as tight, tough, and fun. A few more attractions worth your time while in Thibodaux include the Wetlands Acadian Cultural Center, Laurel Valley Village: A Rural Life Sugar Plantation Museum, and the Donner-Peltier Distillers, to name a few. For more information on Thibodaux, visit www.lacajunbayou.com. You can also read more about Cajun Pride RV Park on Campground Reviews. I have spent 2 winters Jan to April in the Thibodeaux area volunteering for Habitat for Humanity love the area and the people. Thanks for the article on Louisiana! I lived in New Orleans for 8 1/2 years. We always go there every year in our motor home and stay at least week and sometimes even more. It’s a fun city to visit. The food is fantastic! Thibodaux is very nice. and, if you really want to enjoy and get into the heart of Cajun country, head over to Betty’s RV in Abbeville. Here you can experience the French Cajun Culture to the max, including Cajun Jam sessions, some of the best food of Louisiana, meet some of the best Cajun and RV’rs in the world, and of course, Ms Betty’s most gracious and wonderful company at happy hour every day! Betty will show you what Cajun is all about! Been down in Cajun country several times after hurricanes with the American Red Cross. Wonderful hard working people and oh so friendly. One of my favorite areas in our nation.